Whether you're focused on marketing in general or inbound marketing specifically, the topic of search engine optimization (SEO) is bound to come up. It's an important topic that can't be ignored. SEO, however, should only be one component of your broader search engine marketing (SEM) strategy. Search Engine Marketing is typically divided into search engine optimization (SEO) and Paid Search. 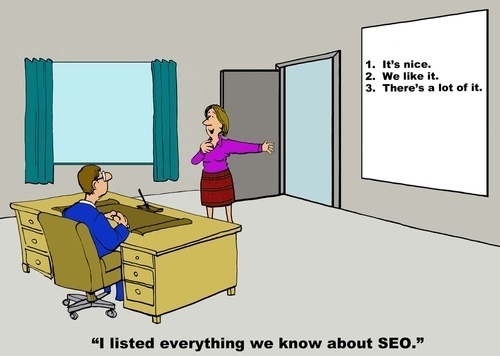 Let's start by discussing SEO. Every page on your website can and should be optimized for on-page SEO. If you're on HubSpot you even have SEO tools built in that will automatically help you optimize your page. On-page SEO should be a must for any modern website. Off-page SEO focuses on external links coming into your website and other search signals. Typically, a goal of off-page SEO is to help increase brand recall and build exposure. For example, if you are an up and coming player in enterprise resource planning (ERP) software, you would want to use off-page SEO to expose your brand to an audience of decision makers seeking ERP software. Off-page SEO tactics might include interviews in online publications that link back to your website, banner and display ads that identify your brand and value in the ERP space, or even content placed on industry leading websites. Off-page SEO might also include connecting with influencers in your space who can then share the value of your service and drive traffic to your website. Remember, we're not trying to drive conversions with off-page SEO. Measurement of successful off-page SEO can be done through link analysis and tracking organic mentions and reviewing search engine traffic. You may want to compare a quarter with no off-page SEO effort to a quarter with specifically targeted off-page SEO efforts (i.e. influencer outreach, banner advertising). Off-page SEO would also have a keyword focus. You could identify 3 to 5 keywords that your off-page SEO would target. Within your SEM strategy, paid search is typically geared to getting clicks to and conversions on your landing pages. You'll also want to make sure you're targeting prospects as close to their purchase decision as possible. They may have already converted on your website and be in the middle to the bottom of your funnel but might still be researching solutions online. With SEM focused paid search you would want about 3-4 ad groups containing 3-5 keywords each. You'll want to define success up front. Success may be increasing your organic ranking on a small set of keywords. Don't try to take on the world right away. Focus on 10 keywords not 100. Measure tactically. That is - measure your ad campaigns, measure your conversions, measure your visits. Don't think you have to do everything at once either. Start with on-page SEO and then work out from there.